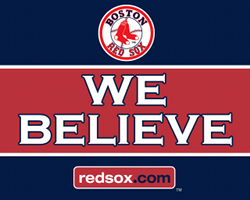 Well, last night was more proof that rock-solid never-quit commitment and loyalty can ring in another World Series Championship to Boston. Sorry Yankee fans. Did you notice something? Well, besides Ortiz pretty much carrying the offense with a .688 series batting average. These guys had heart and soul through thick and thin. Okay–you get it. I am thick-and-through part of the Red Sox fan crew. Love them actually. But not just because they win. Their devotion to never quit is all the rage in my belief system. Down 2 games to 1? No problem. Losing a game 5-zip? It’s all good. They have the secret sauce that focusses on positives rather than the doom and gloom of oh-no, what just happened? SEO and converting your site traffic is no different. But you have a bigger problem. Who in the heck do you trust? That’s your problem. There’s a gazillion basement dweller SEO wannabees giving out advice by the fistfull. If you’re working with one (or worse, offshore dopes or firms that talk your ear off about stupid backlinking strategies) I feel your pain. You shouldn’t be held accountable for your failures ranking better. Mostly because you’ve been sipping the wrong SEO coolaide for years. Review your hosting –is it fast? Or is it a shared, lame hosting plan? If you’re reading this far, do yourself one favor: think about what you really want. Then figure out who to trust to help you get there.